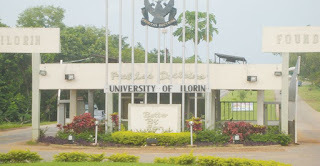 In: Unilorin 2017/18 Hostel Allocation Accommodation for fresh students!!! Unilorin 2017/18 Hostel Allocation Accommodation for fresh students!!! Fresh students are hereby notified that the allocation of the University owned hostels will be online. The available bed spaces will be uploaded on Wednesday, January 10, 2018 at 12.00 noon. Hence, all fresh students are expected to cast lots for bed spaces at the above stipulated date and time.